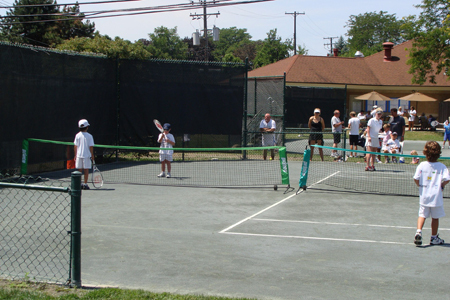 Fun and competitive tennis tournaments. Serving Aces for Sarcoma Tennis Tournaments are a great way to get “the next generation” into tennis -- and keep them playing. The U10 JuniorTennis program, sponsored by the United States Tennis Association, is a great partner for this event. USTA U10 Junior Tennis is an exciting new play format for learning tennis, designed to bring kids into the game by utilizing specialized equipment, shorter court dimensions and modified scoring, all tailored to age and size. It is divided into two different levels; ages eight and under and ages ten and under. USTA U10 Junior Tennis - It’s the fast, fun way to introduce “The Next Generation”© to tennis -- and keep them playing. To become a Sponsor or Support, go to the Donate page.